Learn the basics of messaging, a powerful paradigm that makes it easier to decouple and integrate enterprise applications. 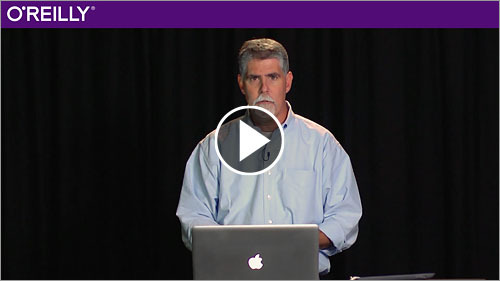 In this video course, messaging expert Mark Richards takes you through messaging fundamentals with the Java Message Service (JMS) API. You’ll learn the basics of how to use the JMS 1.1 and 2.0 API to send and receive messages, how to do request/reply processing, how to use message selectors, and how to use publish and subscribe messaging—all through live, interactive coding with ActiveMQ and OpenMQ. This video begins with some fundamental messaging concepts, then takes you on a live coding journey through the JMS 1.1 API, the new JMS 2.0 simplified API, then a variety of messaging fundamentals topics that will enable you to understand and effectively use messaging for enterprise-wide applications. Once you complete this video course, you’ll be ready for the follow-up: Enterprise Messaging Using JMS: Advanced Topics and Spring JMS. Mark Richards is an independent hands-on software architect with over 30 years of experience in a variety of technologies, including J2EE, SOA, messaging, microservices architecture, and a host of other platforms and technologies. He is the author and coauthor of several other O'Reilly books and videos, including Java Message Service 2nd Edition, the Software Architecture Fundamentals video series, and 97 Things Every Software Architect Should Know. Mark has spoken at hundreds of technical conferences worldwide on a variety of topics including messaging, SOA, Java persistence, and software architecture.